Finding the perfect portable grill serves as the holy grail for many tailgaters. Do you just haul your big propane grill from home to the game? Do you get a small tabletop grill for $60? 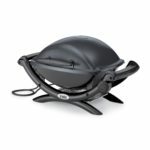 Opt for a charcoal kettle grill? I say ‘No’ to all these choices. 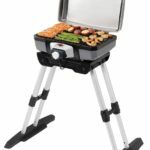 The Coleman Roadtrip LXE Gas Grill meets all my needs for on the go grilling. It weighs next to nothing and transports easy. It pumps out the heat to give the meat an even sear. And it holds up over time since it’s made from quality parts. Opportunities a plenty open up when having an easy to move grill. Tailgating ends up being my number one choice. When just grilling for family and a few friends this grill gets the job done. I also love this grill for its use while camping in the great outdoors. Construction right out of the box couldn’t be any easier. Expect to spend fifteen minutes putting this puppy together right out of the box. No tools required. Want to take the grill to the game, a park, or at camping? Don’t have a truck? Have no worries. The Coleman can fit into the trunk of a standard sedan and easily into any hatchback trunk. You’ll be grilling in minutes once you get to your event. All you’ll need to do is unfold your grill and install the propane tank. Don’t settle for MREs while out camping. A hot meal keeps your body moving whether at home or in the elements. Just take your Coleman Grill in the back of your car and set it up at the campsite. 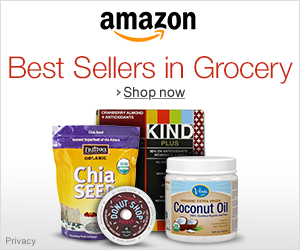 Cook food from home or food from the field like fish or a berry desert. Far easier than constr ucting an entire fire, especially given the increasing regulations on outdoor fires today. Simple picnics go from packed lunches to full fledged BBQs. 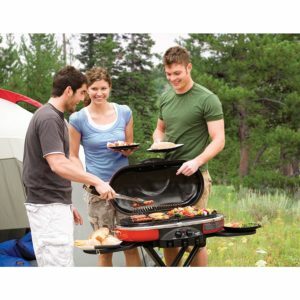 Too many folks settle for dinky tabletop propane grills or kettle charcoal grills when opting for a portable grill. If you’re anything like me then you love the ease of gas. Expect to get a week’s worth of grilling per mini propane tank for this grill. You can get these little tanks at Walmart for less than $4 per canister. Thanks to the Perfect Flow Heat System this grill can be in use 365 days a year. Whether it be the cold of Winter or the heat of the Summer the Coleman Grill can keep on grilling. Keep the tailgates going late into the football season. Don’t let Fall and Winter stop you from living a grill based life. You’re going to be limited to one of those mini propane tanks. This means you can grill for about four hours total. To keep the party going be sure to have another one or two on hand whenever you take the Coleman Grill out for a day. The legs on this grill can wobble a little in the wind. Plus, the design of the grates lets in wind when grillings. All told, grilling outside when it’s windy can be tough with this grill. Since it’s portable you can always relocate this grill to a more convenient place. Try the Weber Smokey Joe. Yes, it may be a charcoal grill, but it’s an awfully good value. 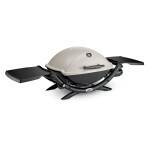 The Smokey Joe can be gotten for less than $40. It’s easy to move and setup, and can cook for a small family. You’re going to need more stable conditions to cook in to avoid strong winds, but it serves the role of grill well. Looking for a Higher Tier Grill? The Weber will set you back an extra $100. You get what you pay for though. No name in the world of grilling delivers as consistent results as Weber. 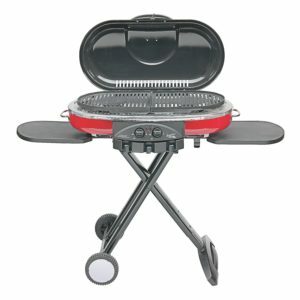 If you’re wanting to get a grill that is both portable and a powerhouse of a grill, then look into the Weber Q 2200. For the price of this grill, you really can’t go wrong. Occasionally these grills go on sale for $100, but even for $150 these grills still make for a good deal. Being able to grill at tailgates without major headaches makes life much easier. While it isn’t the biggest grill in the world it still packs a punch for those just catering to families. Overall, I give the Coleman Gas Grill a total of four out of five stars.